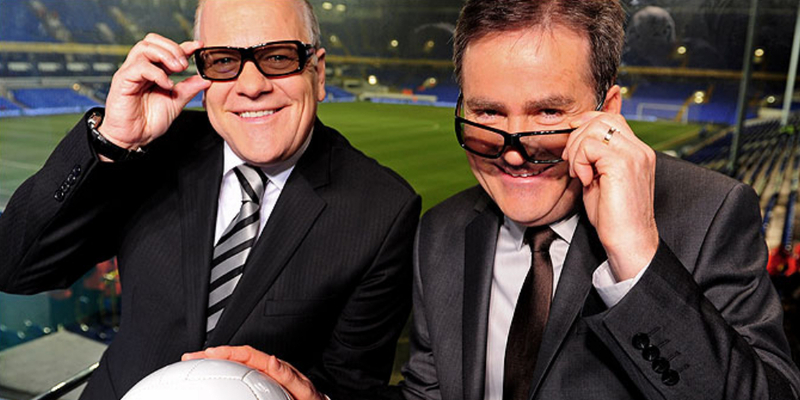 Sound Of Football Podcast 67 part 2 - Where next for Sky Sports? Chris, Graham and Terry went for a few beers at the Sports Bar and Grill in London. So when the whole hullabaloo with Richard Keys and Andy Gray took place we thought it would be a good idea to record a podcast. The chaps decided to focus on what Sky Sports will do now that their two heavyweight broadcasters are out of the picture. Who will Sky recruit to replace them? Such names bandied around are Chris Kamara, Ben Shepherd, Jeff Stelling, Clare Tomlinson, Gary Lineker, Adrian Chiles and many many more including John Inverdale, curiously. Inevitably the chaps stray off topic and just as inevitably, James Richardson's name pops up.